Coulometric oxygen sensor systems employ two chambers with a specimen mounted as a sealed semi-barrier between them. 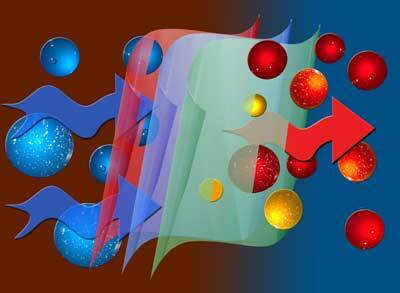 One chamber contains oxygen while the other is slowly purged with a stream of a carrier gas such as nitrogen. 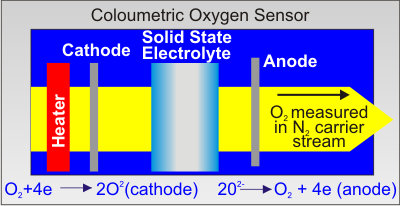 As the oxygen gas permeates through the specimen into the carrier gas, it is transported to the coulometric detector where it creates an electric current with a magnitude that is proportional to the number of oxygen atoms flowing into the detector. This method can produce extremely accurate results.